Owners of voting securities can cast votes for management and issues affecting businesses. When you own stock in a company, you own either voting securities or non-voting securities. Most common stock has voting privileges, giving you one vote for each share you own. The other basic category of securities, preferred stock, still gives you some percentage of company ownership, but not the voting rights enjoyed by common stock owners. Most common stock comes with voting rights. When shareholders' meetings are held, typically once a year, each owner of at least one share of common stock can vote. Most owners of voting securities have one vote for each share owned. Owning preferred stock gives you ownership in the company and a fixed dividend, but usually no voting rights. In return for losing voting rights, you receive a portion of company profits in the form of fixed dividends. However the company has no obligation to pay a dividend if it lacks the financial ability to do so. 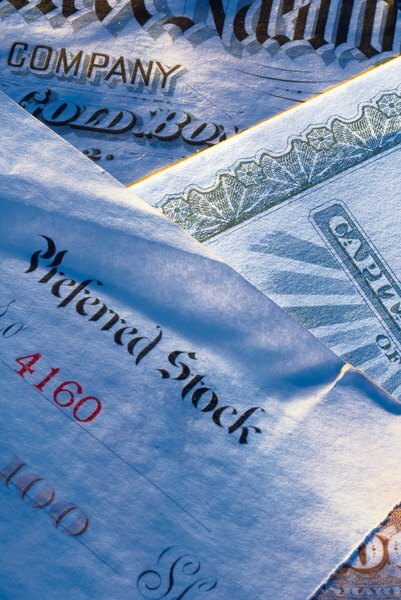 If a company does pay dividends, owners of preferred are paid first, before owners of common stock. Instead of a simple formula in which one share equals one vote, a company's common stock might be divided into different classes. For example, one class might confer 10 votes per share, with another class getting one vote per share. The company could also authorize a third class of common stock that has no voting rights at all. This stock class allows company founders to better control the organization, remaining majority owners of voting securities. Owners of voting securities seldom must attend shareholder meetings to use their voting power. According to the U.S. Securities and Exchange Commission, there are instances of over-voting, in which broker-dealers cast more votes than they should get on behalf of themselves and its clients. However, most owners of voting securities can cast their votes in advance of shareholder meetings by returning the voting proxy forms that companies mail to their stockholders of record. According to USLegal.com, a voting security is "entitles the holder or holders thereof to cast such specified percentage of the aggregate votes which the holders of all the outstanding voting securities of such person are entitled to cast in the direction or management of the affairs of such person." USLegal credits 15 USCS, Section 77ccc for this definition. Because a corporation is a legal person, references to "person" can be either to humans or to legal persons.